My crochet life is more orderly now that Duncan Ceramics now has a yarn bowl bisque design available for purchase! 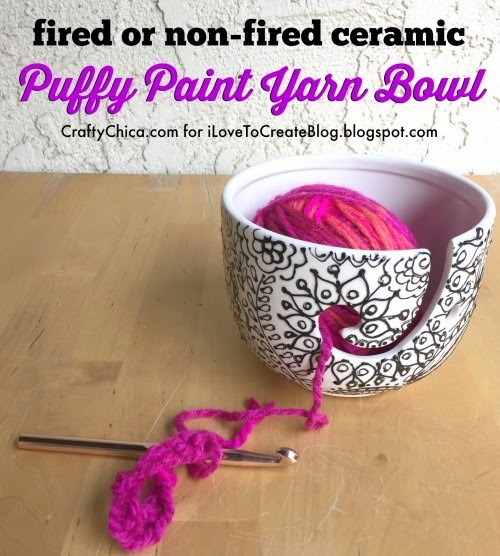 What the heck is a yarn bowl, you ask? 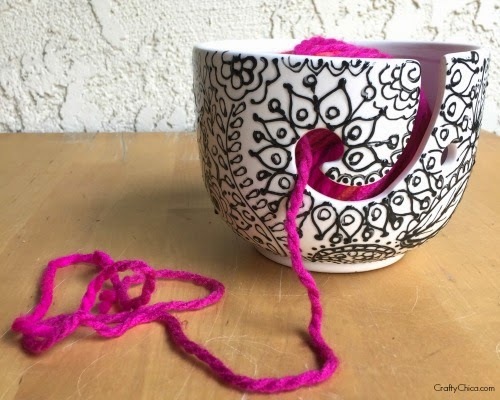 It's a bowl with a slit cut in it so you can keep your yarn ball in place while you knit or crochet. My problem is when I sit down in front of the TV to crochet, my yarn bounces all over the floor, sometimes the dogs even grab it and all heck breaks loose. Now I can keep my yarn at my side with this bowl! 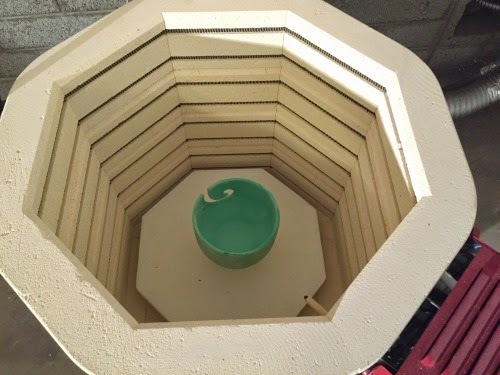 Whether you are into fired ceramics or not, you can make this bowl, read on to see how! 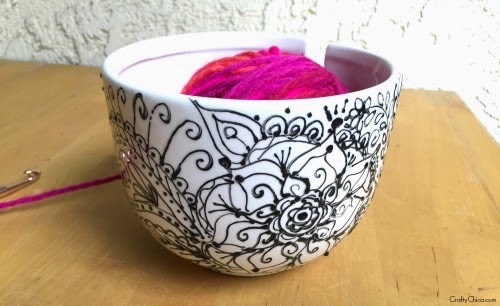 NOTE: To buy a blank bisque yarn bowl to decorate, contact your local Paint Your Own Pottery location. Here is a video I made, click here if you can't see it above. Please give it a thumbs up and be sure to share it, crafty love everywhere! 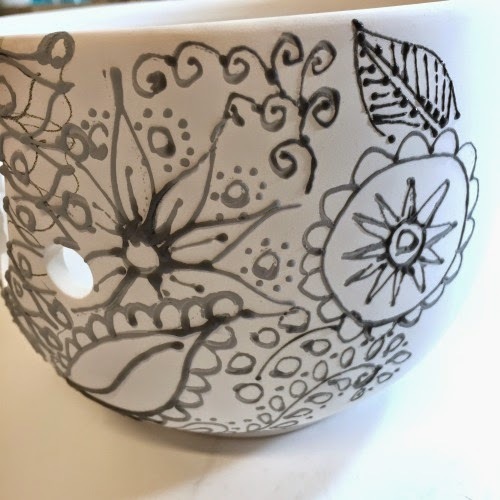 NOTE: To buy a blank bisque yarn bowl to decorate, call the Duncan Ceramics Craft Supply and Hobby Shop, 559-291-2515. Price is $10.35, plus shipping. Or you can email here. I'm going to show you the fired way, non-fired is the same except you don't glaze or fire. OK, first use a damp sponge to clean your bisque to make sure it is free of dust. Next, get your French Dimensions and shake the bottle. 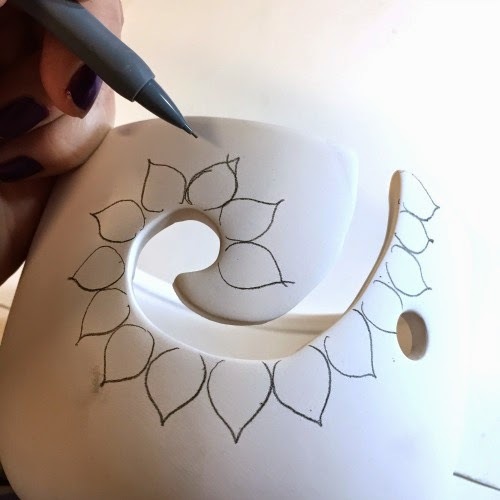 Use your pencil to draw your design. Trust me, it is easier to design. Once you apply the black paint, there is no room for mistakes! Tap the bottle upside down on the table and squirt out a test line to make sure there are not any bubbles. 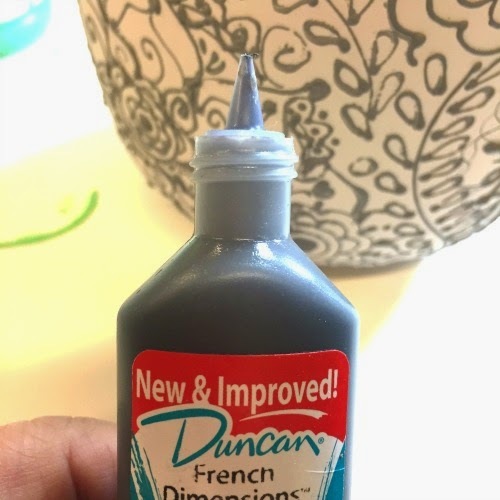 I LOVE French Dimensions because it is just like Puffy Paint, except for fired ceramics! You can see how I just covered the entire area of the yarn bowl with the French Dimensions. Let it dry! 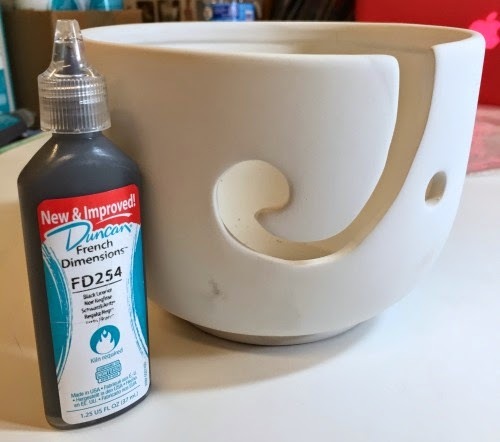 If you are using Puffy Paint, you can consider it done after dry, but if you are firing, you'll need to add a clear glaze to make it nice and shiny! After letting it dry, I applied the glaze inside with a fan brush. For the outside, I held the bowl inside a larger bowl and poured he glaze over it, rotating it so it was completely covered. I set it upside down on top of tall paint bottle to let it dry. I stilted it in my kiln and fired it on medium speed at Cone 06! Thanks for reading my blog post for iLoveToCreate! 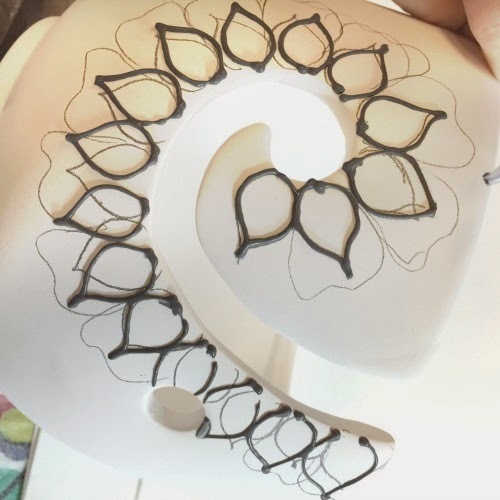 You can sign up to receive my crafty ideas by email right here!